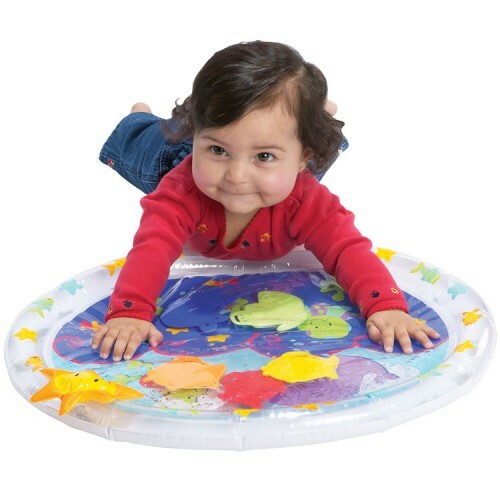 Put the wonder of water into a neat and compact play tummy activity mat your little baby will love! 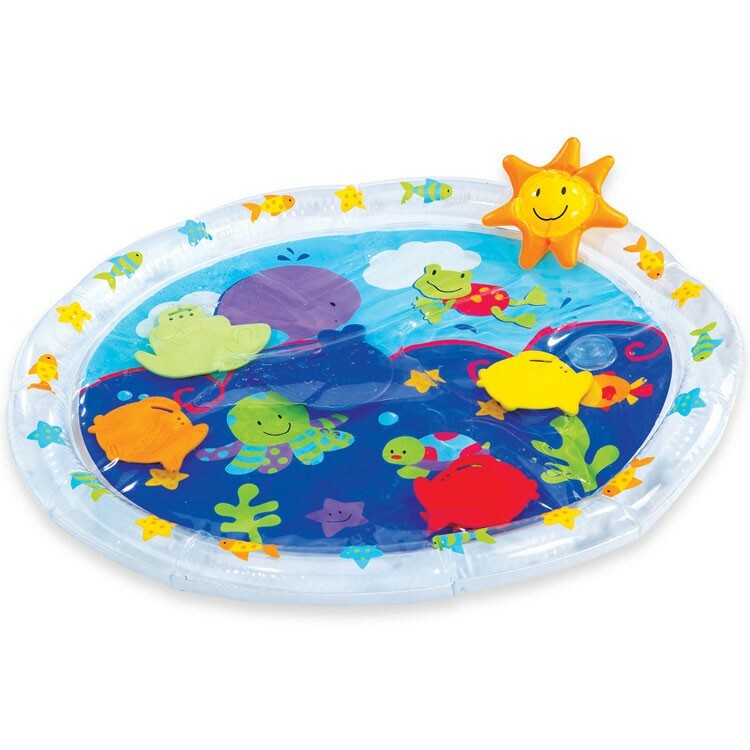 Enjoy the fun and wonder of water without a splashy mess! 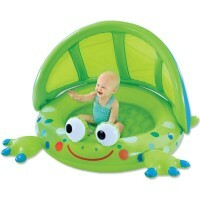 Fill n Fun Water Play Mat Baby Toy from Earlyears lets your toddler play with water, without ever having to get wet. 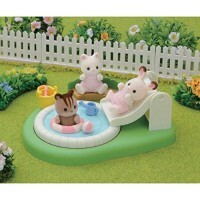 Simply fill up the inflatable baby play mat with water, and let your child enjoy some squishy fun. 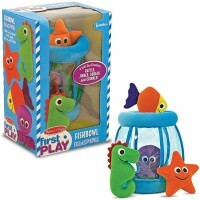 This neat, compact and durable toy features a tube that fills with water and holds 5 water pals, to push through the water inside. 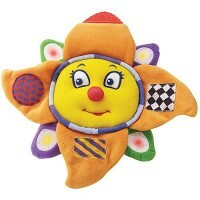 Earlyears uses the highest quality materials, making this toy safe for all young children and babies. 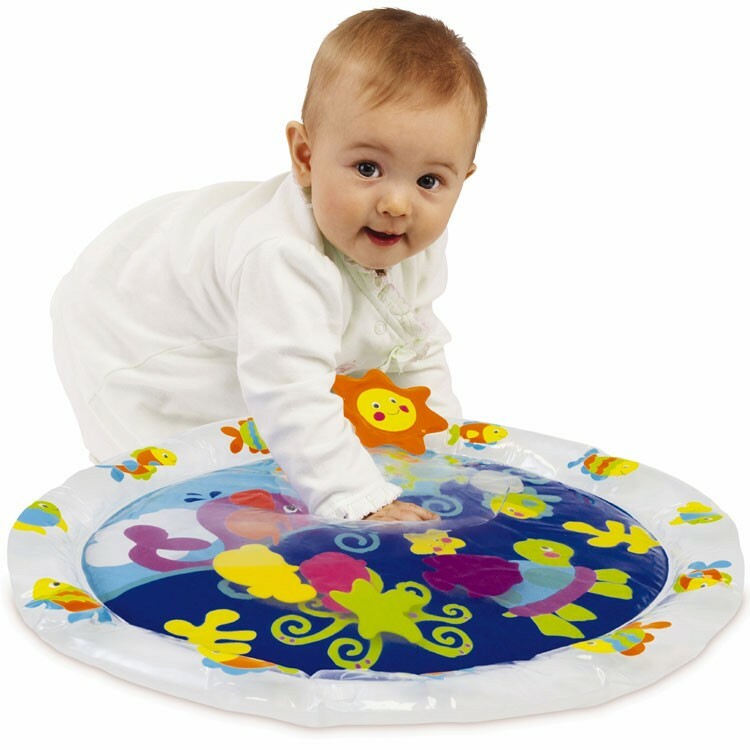 This award winning Fill n Fun Water Play Mat Baby Toy is one of Educational Toys Planet's bestselling baby toys and is a great tummy-time activity that will help your babies develop sensory skills, motor skills and even introduce them to colors! 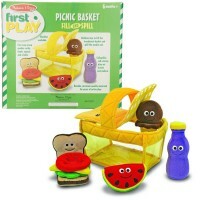 Put the wonder of water into a neat and compact play toy all little ones will love! 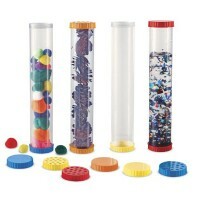 Dimensions of package 17" x 20" x 2"
Write your own review of Fill n Fun Water Play Mat Baby Toy. Rating: 5 Great for infants! 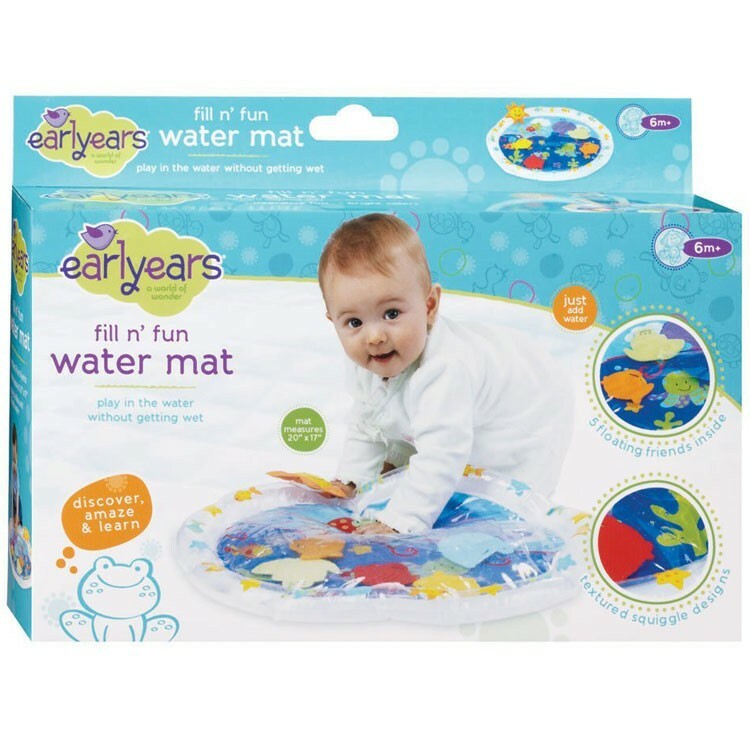 by Kim This water mat is great for building back, shoulder and neck strength in young infants. I have personally used it for years at a daycare and have never had any issues with it. The babies all love it as the mat keeps tummy time interesting and fun. 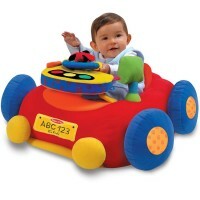 It's easy to clean and makes a unique and useful baby shower gift which is why I have ordered many of these from Educational Toys Planet. I know I can count on them as they always have it in stock and are great about shipping products out quickly. Rating: 4 Simple, but nice to have by Carolyn Peters I like, that's the mat can be used for laying down and sitting baby. My 5 mon-old likes tapping the toys inside. Water inside gives the mat an interesting dimension. 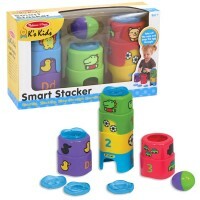 Rating: 5 by Christiana, MD Simple and fun baby product. Perfect price. Rating: 3 by Patti, MA My 7 month old liked it for a little bit. Something different but I thought it would be bigger, should have read specs first. Rating: 4 by Darlene, NC My 8 mos old keeps trying to bite the plastic. Afraid he'll make a hole. Constant supervision required.